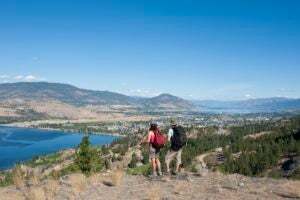 Strong, traditional hockey roots, miles of local trails and two spectacular lakes, has earmarked Penticton as a great, year-round destination for active families. We asked our Youth Influencers for for their thoughts and here’s what they had to say. I live in Penticton BC and one of my favorite things about this city, is the amazing minor hockey association. I am currently playing on the Penticton tier 3 bantam Vees. One of the best parts of this association is that there is a spot for everyone. Anybody from the age of 4-18 can play on a team at different levels of competitiveness. I have been enrolled for nearly all my life and I have been having fun the entire way through. I highly recommend trying hockey if you have not. I have lived here my whole life. I have always enjoyed what Penticton has to offer. My favourite part to Penticton was the BMX track. It was my life, along with dance, for as long as I can remember. Every Tuesday and Thursday was spent at that track. That place made me a great racer, who was invited to worlds twice and was 16th in BC for girls. It was a great experience for me. I loved everything about racing. Especially the people involved with it. I made many friends and always had a great time at that track. I also made many memories. I encourage everyone to go check out the new track in Penticton. It is state of the art and I know that once you start racing, you will never want to stop. I love Penticton, and it is a great place for everyone, so come join us. Most importantly, in my opinion, are the mountains and the trails. There are many hiking and mountain biking trails here in Penticton that have beautiful scenery and lush trees, perfect for a morning outing. Another one of the very popular things in Penticton are the perfect beaches and lakes. In summer, Penticton’s beaches are the hot-spot for tourists and residents alike. Lakeshore Drive is the place to be on a hot summer day, with so many restaurants and shops along the street. In winter there are many things to do as well. 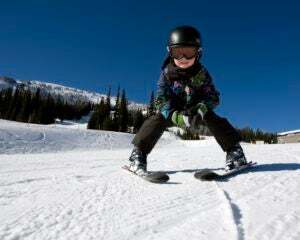 Many people love to ski and snowboard, so it’s great to have Apex Mountain Resort only 45 minutes away. Penticton has so many great aspects and I love living here. One of the reasons why I live in Penticton is the Hockey. The Hockey here in Penticton is fun. It’s not too competitive but it’s just enough to still be fun, unless you’re in OHA. Another reason why I live in Penticton is because of Apex Ski Resort. Apex has very fun hidden routes that go through the trees and some good areas to learn tricks. Apex also has a very good shop for new snow boarders and skiers.